A sparkly piece of jewelry on your finger isn't the only way to wear a bit of luxury on your hands. Nail foils add an instant touch of shine to your nails, and will cost you less than that statement ring. Although few things are, this nail look is both luxurious and easy to obtain. 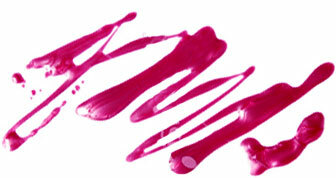 Start by polishing your nails with your color of choice, and then allow the lacquer to almost dry. You're aiming for the perfect not too wet, not too dry consistency. Then, take a small piece of foil and press it (colored side up!) onto your nail wherever you want to deposit the foil. Once you have your nails appropriately foiled, just add a clear coat to finish. Once you have mastered your technique, there are many ways to put your foils to use. Try mixing different patterns and colors, covering the entire nail, or covering small portions of the nail. The foil gradient, a new favorite, is another look to try. This may take a bit more practice, but the results are worth it. Focus the foils on the tips of your nails and have them get sparser towards your cuticle.